As in all applications requiring the ability to transfer gases and fluids, military & defense organizations require industrial hose assemblies for all types of specialized equipment, transportation, chemical processing and common areas of industrial use such as power & energy supply. Whether due to geopolitical initiatives or just routine sunset requirements, weapons / munitions and related chemical materials being destroyed demand robust hose assemblies as well, to handle these harsh chemicals. 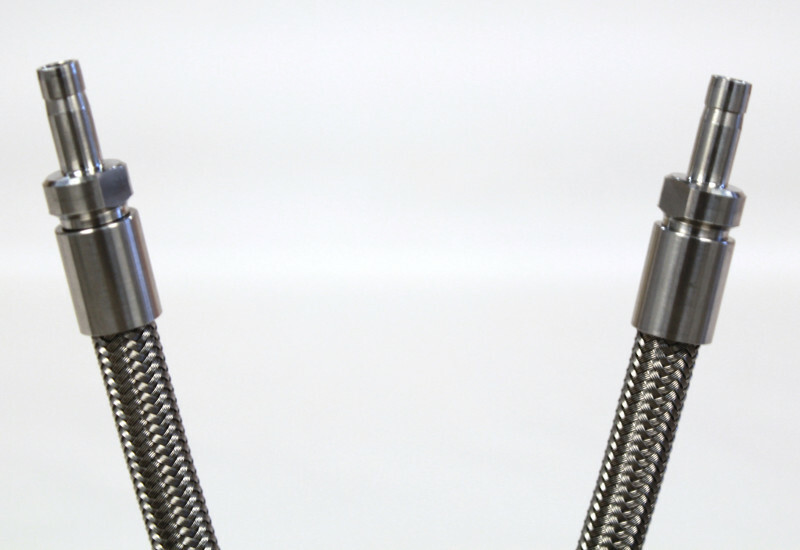 Attention to tolerances during design, quality control throughout fabrication and implementation can be even more critical than standard commercial uses. Our brave men and women in training and theatre must have tools to limit what is already the highest risk to human life, as well as contribute to sustaining lives. While specific types of Industrial hose assemblies make the most sense for compatibility in fuel transfer, flexible metal hose with a core of PTFE that can be impregnated with carbon to eliminate static buildup for non-conductive fluid or gas applications. So you get the benefit of a highly flexible and durable industrial hose, handling temperatures and pressures beyond the norm. This makes carbon, or “black” PTFE hose ideal for transfer of flammable fuels and related chemicals. As in commercial use, there has been much discussion in the news about the U.S. military using more alternatives to standard liquified petroleum gas / LPG. While biofuels have been readily embraced and implemented, compressed natural gas / CNG converted vehicles, fast becoming a more efficient form of fuel supply for commercial ground transportation, is running into some hurdles for military considerations due to the lack of filling stations and up-front cost of converting the vehicles. 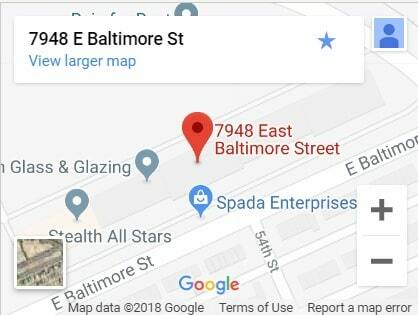 Read more on this in a recent Stars & Stripes article. Last, but not least is the ability to meet any clean or sanitary requirements military & defense applications. 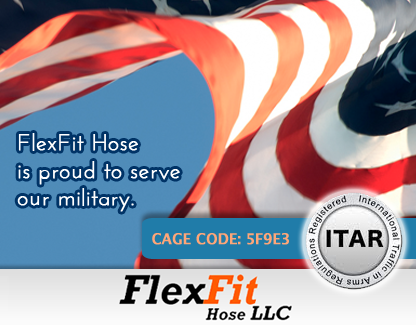 PTFE hose assemblies are ideal for any military applications that must remain free from contamination, as they are easily cleaned, drained as well as having the non-stick, tasteless, odorless feature due to it’s composition. Apply cleaning protocols and you have an industrial hose ready for clean usage such as an oxygen service hose for aviation and ground support. Hose protection available for hose assemblies extends their capabilities beyond an already robust level. Covers for PTFE hose assemblies are used for applications requiring protection from extreme temperatures. Fire sleeves to make it a high temperature hose and insulation for cryogenic applications. 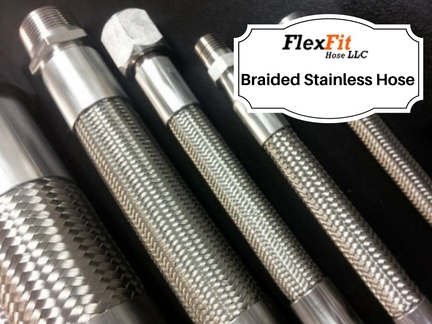 Flexible metal hose can also be fabricated to handle more extreme temperatures aside from additional hose protection or insulation. 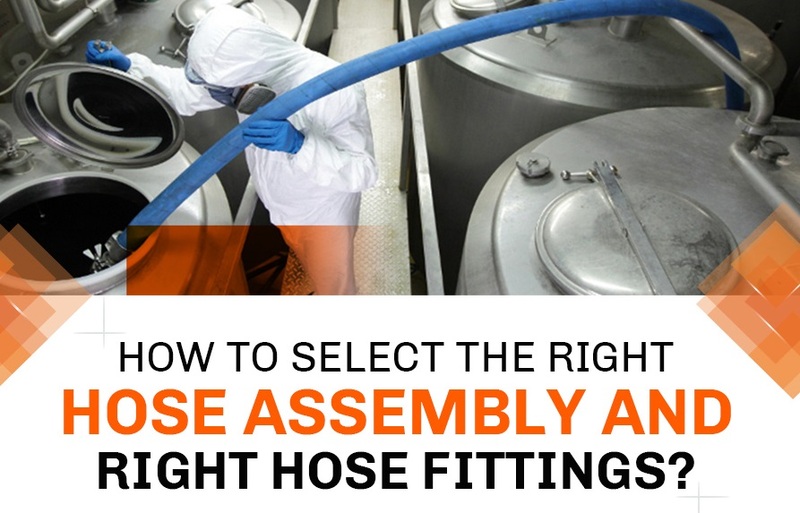 When selecting an industrial hose assembly, you should consider procuring a PTFE lined stainless steel braided hose with the right hose fittings. This will ensure that you have a flexible industrial hose assembly performing at peak levels over a long life-cycle in the harshest environments; a mandatory requirement for mission critical military and defense flow transfer applications.